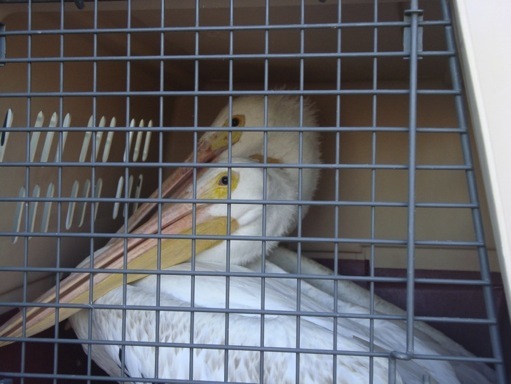 This afternoon around 2pm, a call came in from USFWS at the Salton Sea. Two pelicans and an ibis, ill, not eating, with fevers. Could we come and get them and save them? Sharon Weeks, On Wings Of Care Board Director and a busy vet tech as well as Development Director for a wildlife care center in Huntington Beach, met me at the airport right away, and we were on our way by 3:30pm. We arrived at the southeast corner of the Salton Sea, at a small airport in the town of Calipatrie, just before dark. 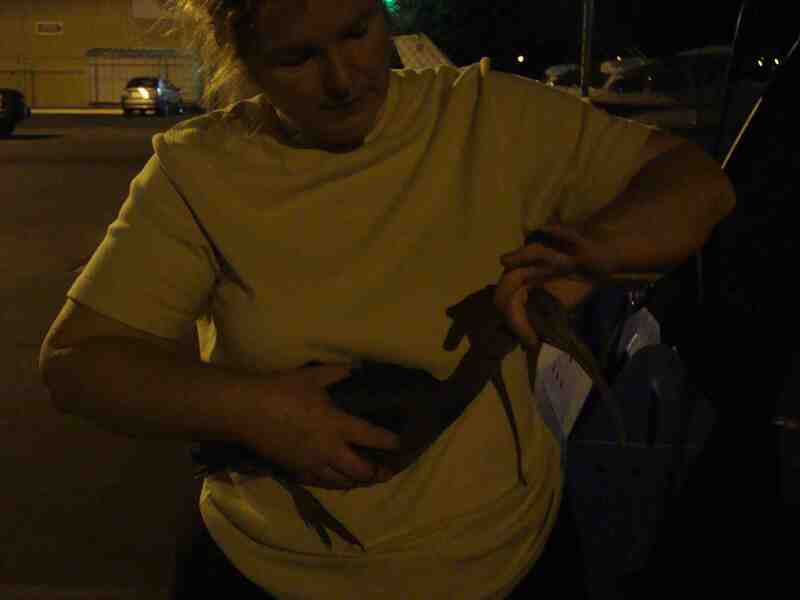 Picked up our birds and loaded them easily into the plane and flew right back to Los Angeles, so that we could drive them to the care center and get them examined and treated right away. By 8pm they were safely in their new 'digs'. 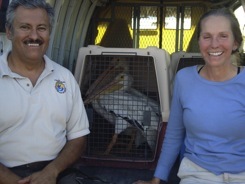 We're sorry to say that the ibis could not be saved, but both pelicans recovered fully and were released in a few weeks.